Five new watches are joining the Classic Fusion collection. Resolutely chic, appropriate in all circumstances, the Classic Fusion Bracelet Blue can be adapted both to a casual look or a smarter outfit. In terms of its diameter, it comes in five models offered in four different diameters—33, 38, 42 and 45 mm—and two time displays. Easy to wear, it will match all your styles and works together with ladies’ or men’s fashion. From the case to the bracelet, it shows the exclusive nuances of King Gold red gold and the ‘metallic’ reflections of titanium. A grade-5 titanium that conserves its extreme lightness, its antimagnetic character and its excellent resistance to corrosion while offering a greater hardness and better finish to the polish. 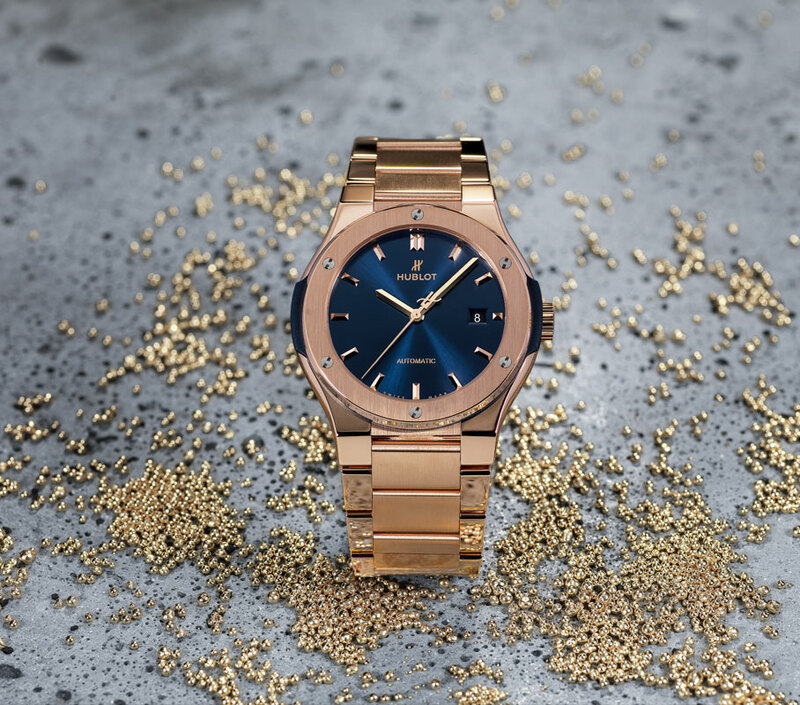 In 33, 38 and 42 mm, the Classic Fusion Bracelet Blue beats to the rhythm of three hands and the date at 3 o’clock. In its 45-mm case, the Classic Fusion Bracelet Blue comes in two versions—a chronograph with the date at 6 o’clock, or 3 hands and the date.